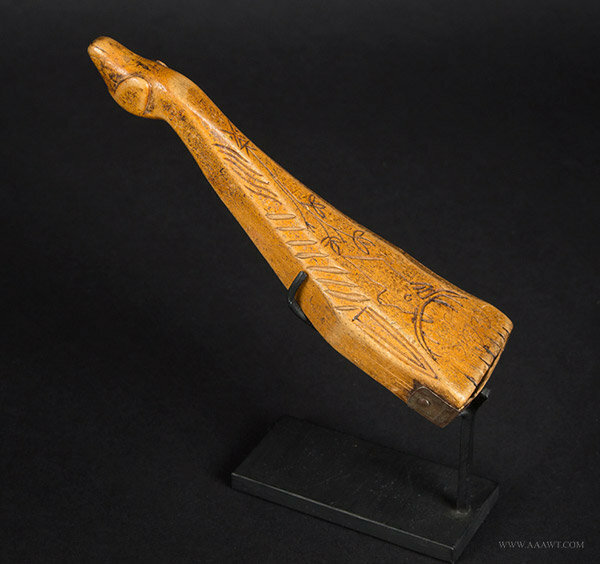 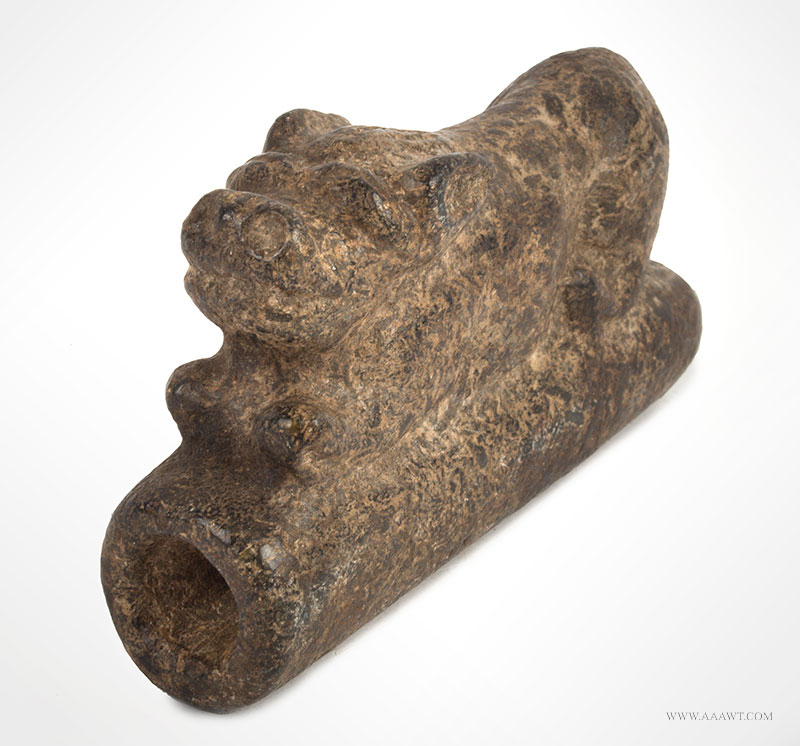 The stick-handle continuing to the nearly round burl head…very old black paint in dry patina over oyster white over red; triple layer appears to only be in the grip area. 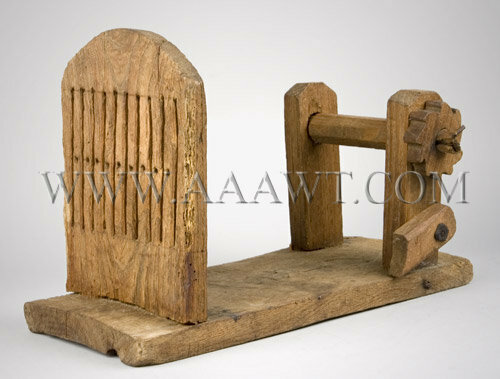 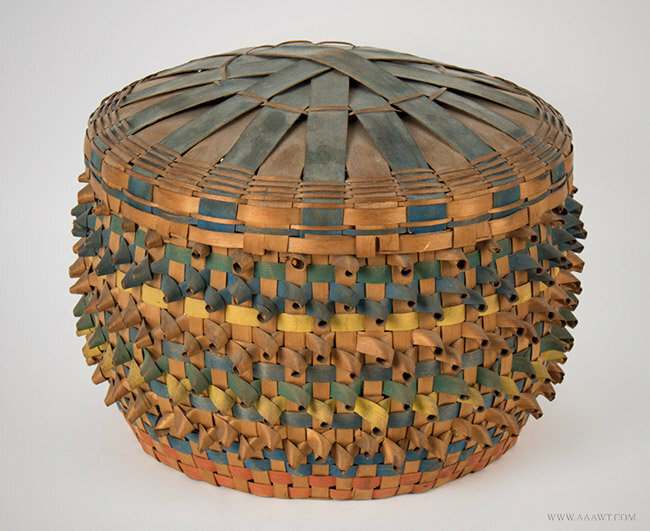 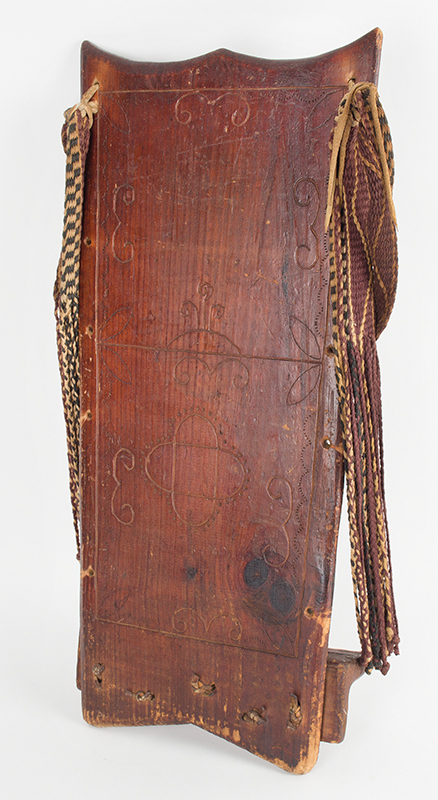 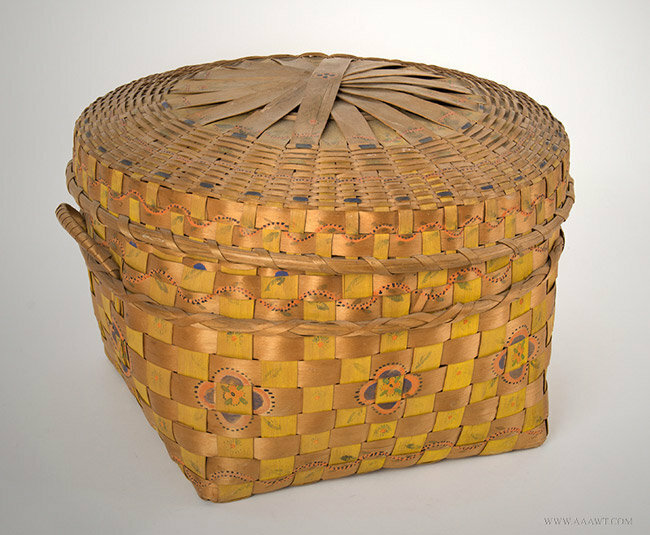 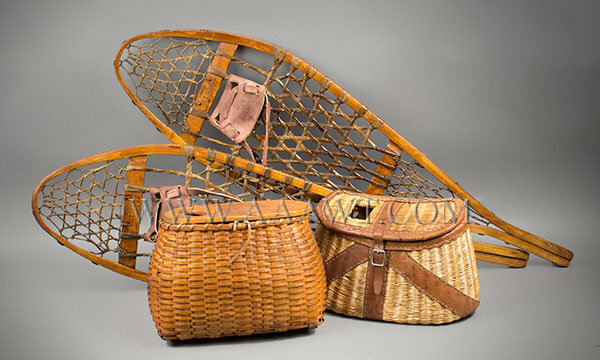 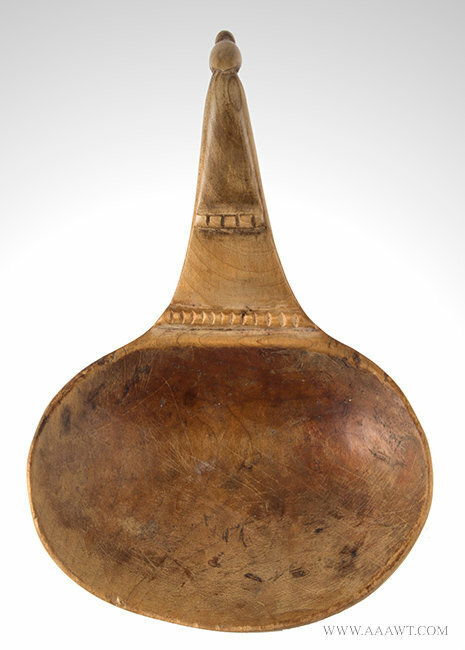 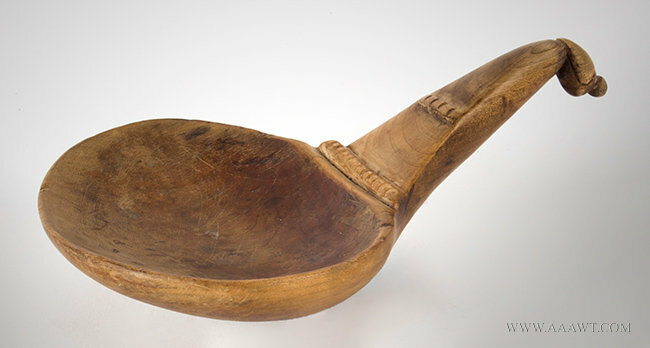 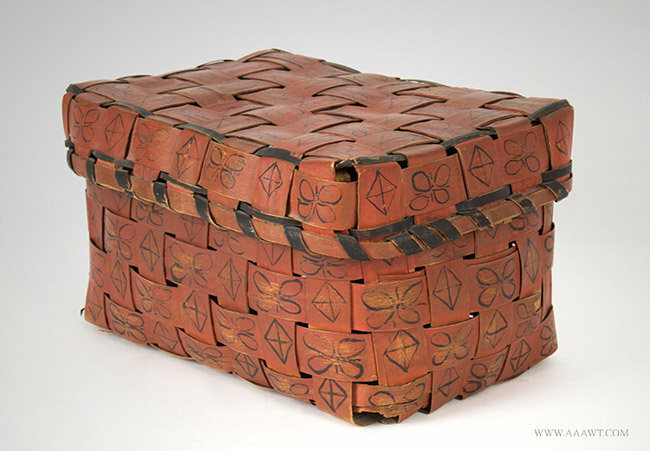 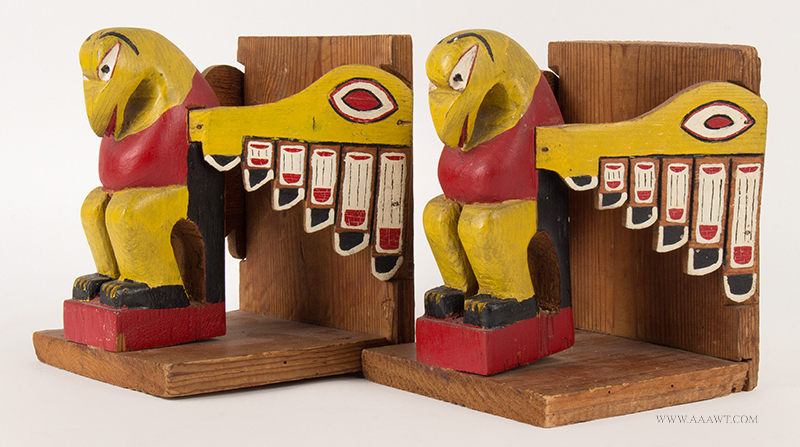 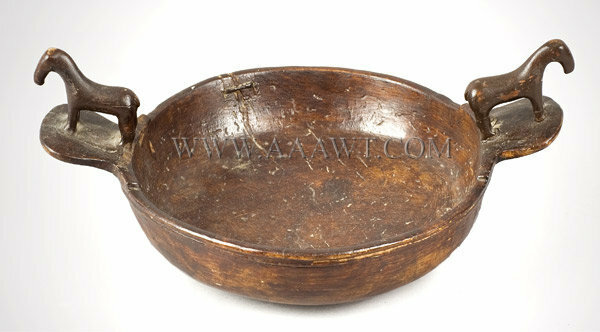 Wood back with protruding footrest (carved), the back is neatly scratch decorated; Woven burden strap (trumpline). 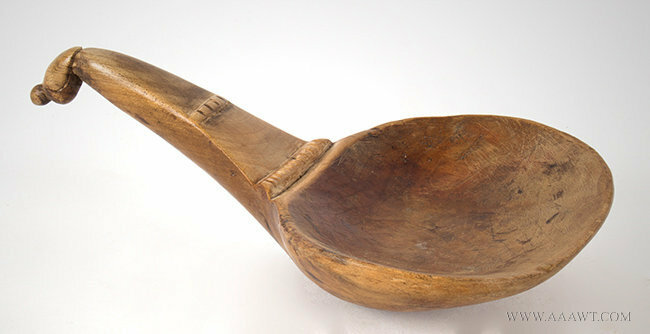 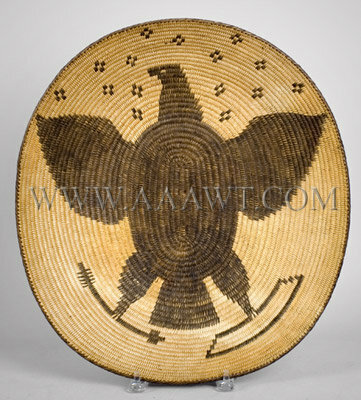 Excellent original condition; height: 25”, width at top: 11.25”, tapering to 9.75” at base. 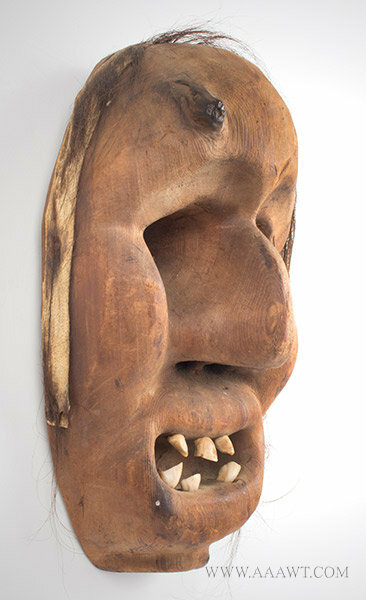 Bit of a hybrid, several different tribal characteristics present. 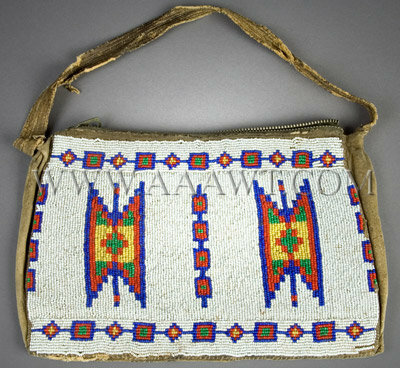 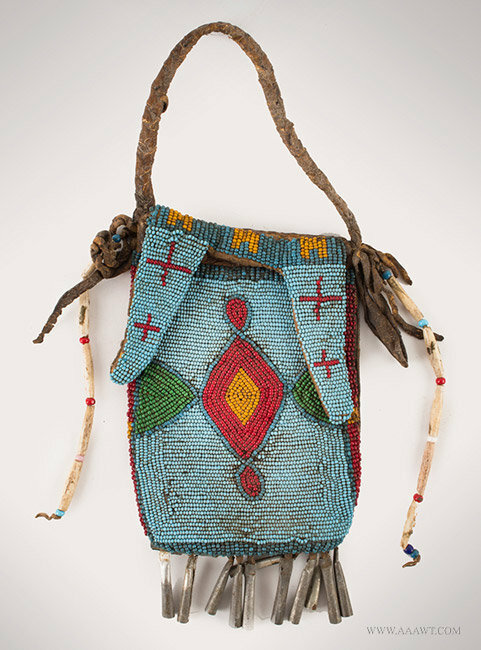 Waste-not-want-not...during the period that we suspect this was made, circa 1900, we find many photographs depicting Indian women wearing beaded purses made of recycled materials-and why not! 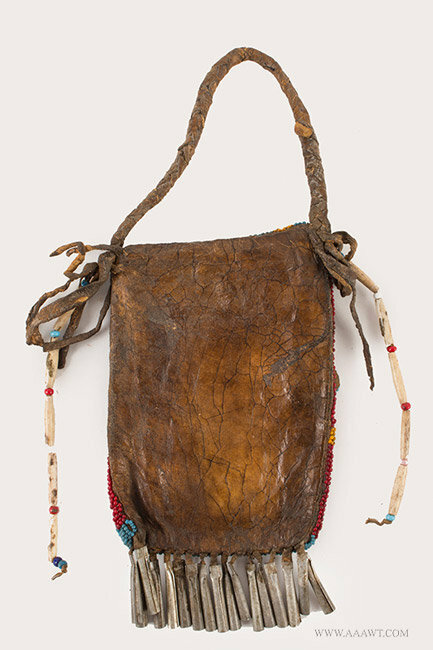 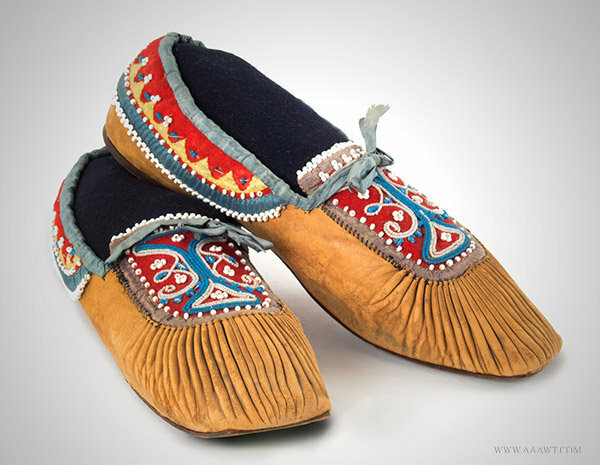 They were inspired by purses worn by tourists visiting the reservations. 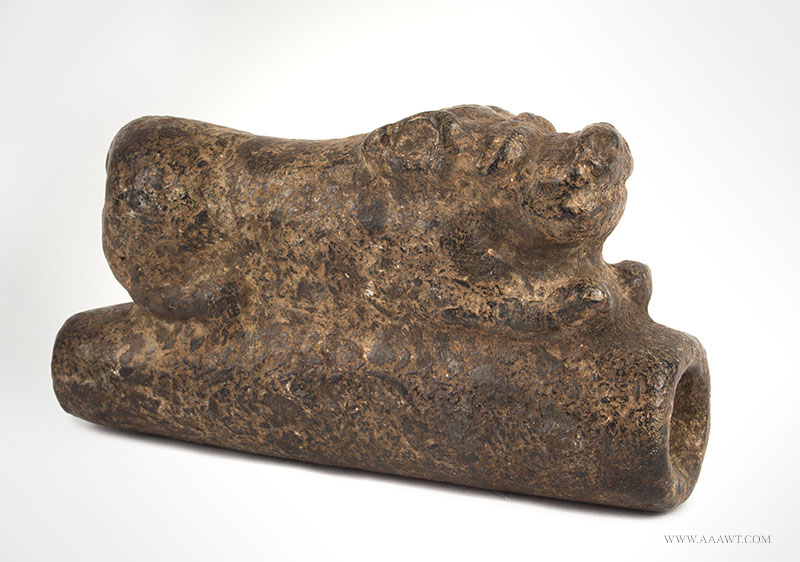 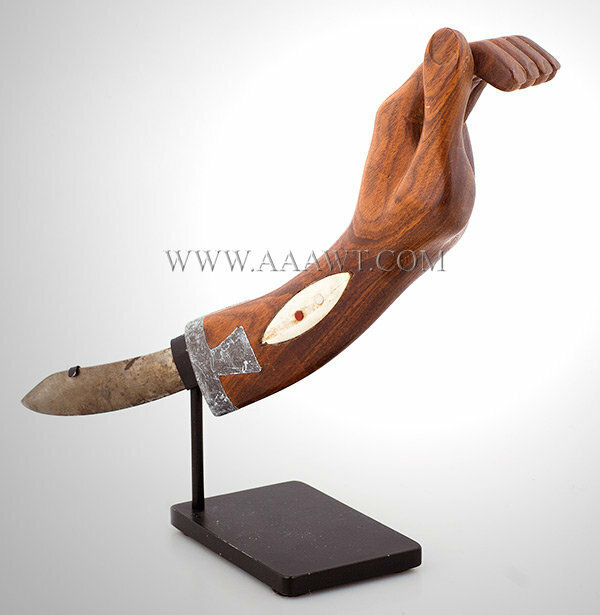 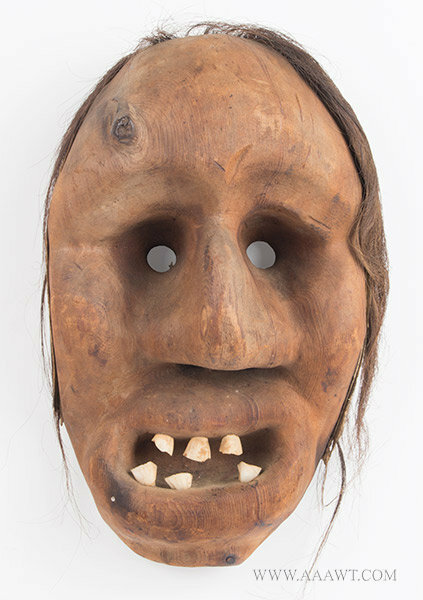 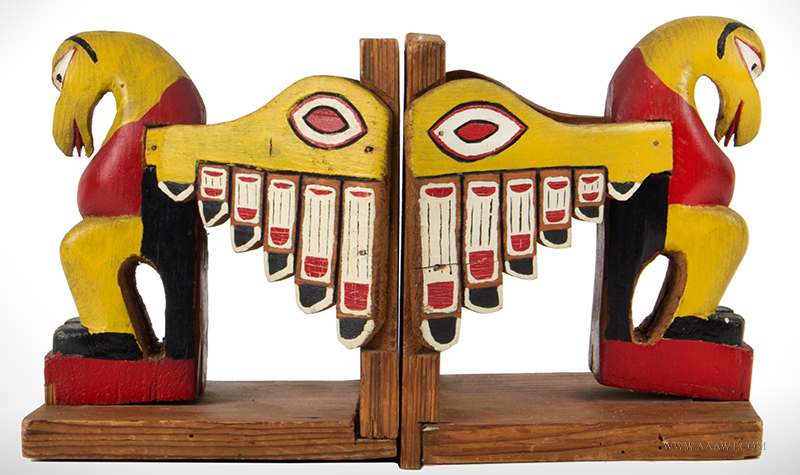 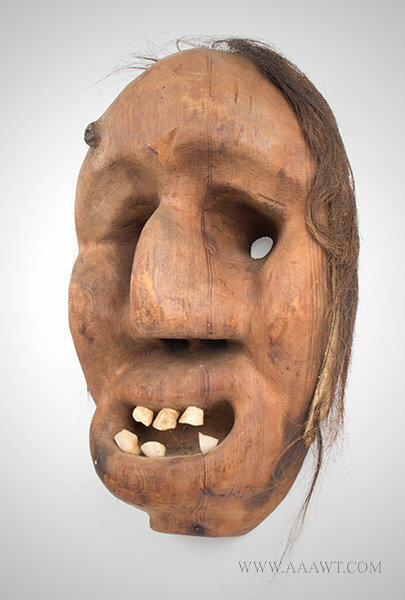 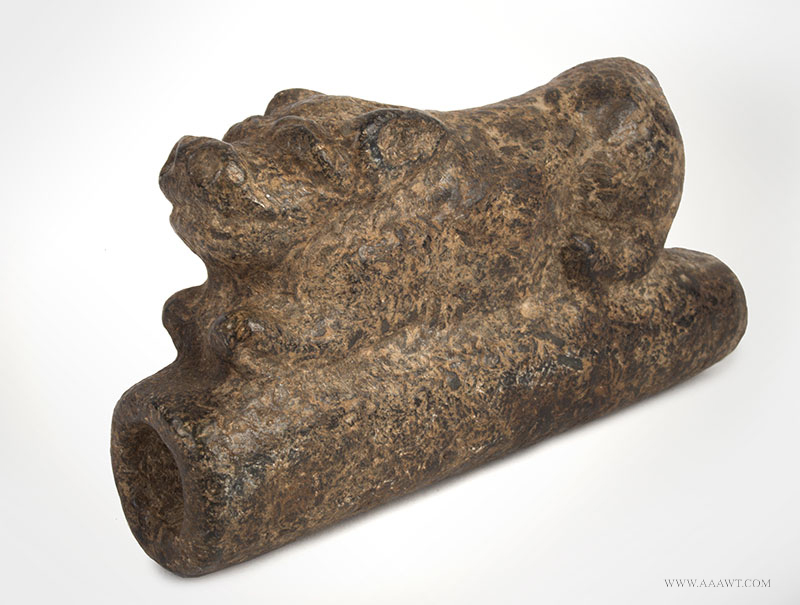 Dimensions: 14.25-inches long, 6.75-inches wide, 9.5-inches high. 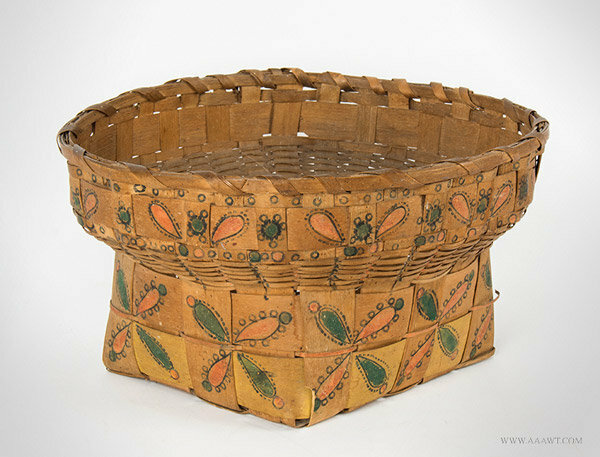 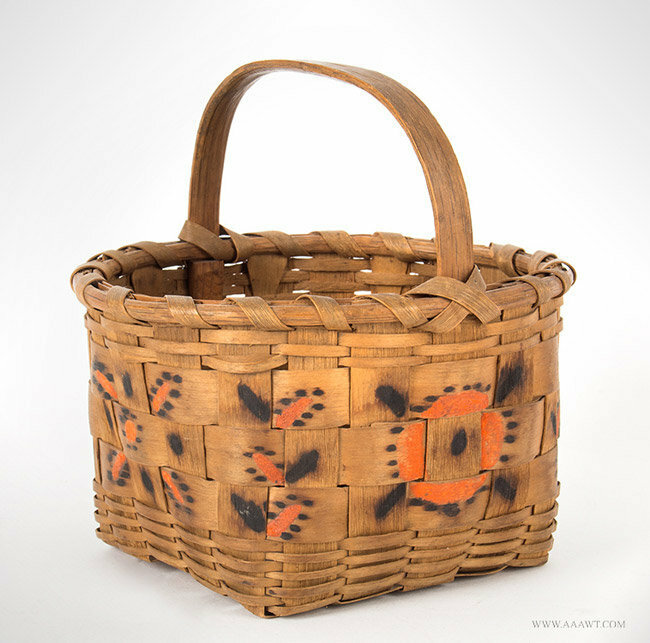 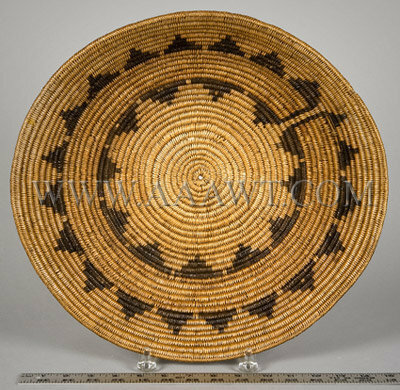 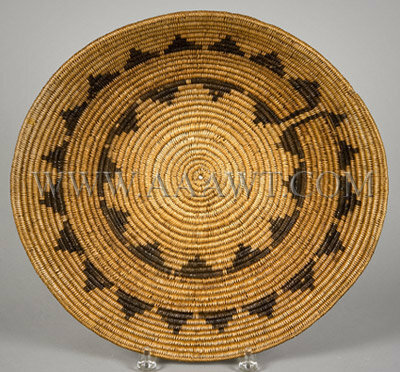 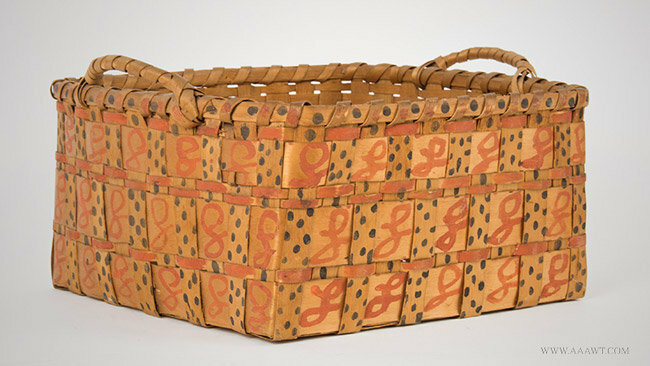 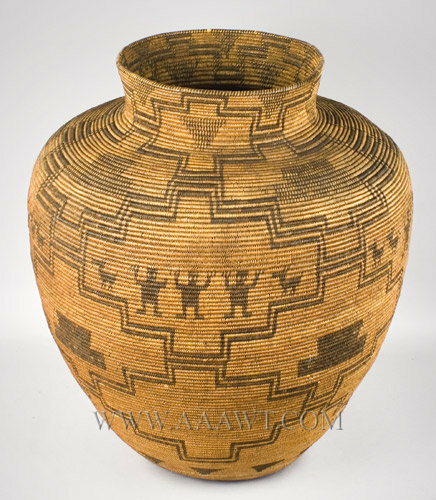 Dimensions: 6" H, 15" W, 11.25" D.
Basket, Apache Olla, Coiled Pictorial Storage Jar, 23"